Yesterday my friend Jane and I made soba noodles. We had been complaining about the price of 100% buckwheat noodles so Jane had the brilliant idea that we could make them. We both had bags of buckwheat flour going unused in our cupboards so why not give it a try. As we mixed our dough and started to knead it into cones (why it needed to be a cone we are still not sure) Jane mentioned that I looked like I knew what I was doing and that I must be a good pasty maker. I laughed because pastry is the one item that I have never been able to master. I’ve had people offer up “no fail” recipes and yet still, I’ve failed. Maybe, June surmised, it’s because you are such a perfectionist. Wow, you know what, she couldn’t be right. Later in the day I was thinking about it and thought. Really? I can’t make pasty? Okay, tomorrow I am not going to be a perfectionist and I am going to make pastry. 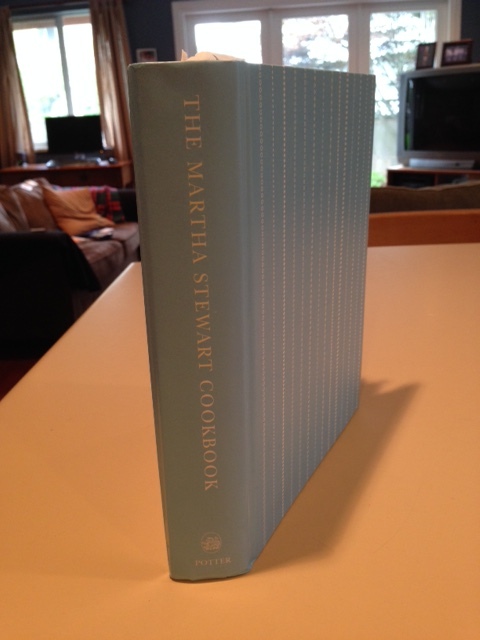 So I pull out my somewhat ratty copy of Martha Stewart’s cook book that my dear friends Karen and Geoff gave to me twenty years ago. ( yes, she’s been around that long). Holy cow there are a LOT of different types of pastry. Once I figured out which one to use, I gathered the ingredients. 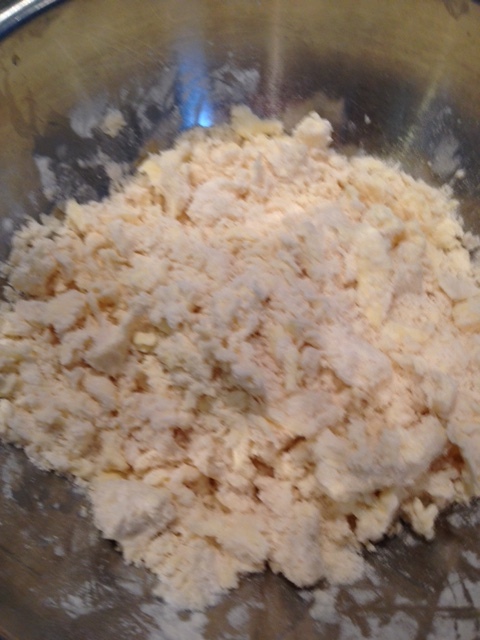 Flour, salt, butter, lard and ice water. Five ingredients. How hard could this be? The instructions mentioned that for best results everything should be cold. Bowl in freezer, ice cubes in water, butter and lard, well chilled. Okay, ready to go. Am I really this nervous about making pastry? Given my past record of doing it, I think I’m just afraid or failing again. Come on. It’s just pastry right? Everything goes as planned. Sift flour and salt together. Cut in lard and butter and crumble together until it resembles a course meal. The next step is typically where things don’t work out for me. My expectation is that I will add the water and the dough will magically come together in my hands and form a lovely smooth ball. As I tip in the ice water I try to remember that it doesn’t need to be perfect and once it forms a ball I should just wrap it up and put it in the fridge. 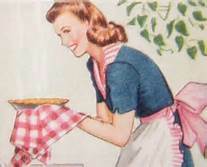 As Martha points out, you shouldn’t overhandle the dough. And then it happened. I felt like Tom Hanks in Castaway except instead of fire, I Had Made Pastry! Okay, so it was still just a ball of dough, but I had never felt this confident before that it actually might make it into the oven as a pie. I moved on to making the inside of the pie. This, for me, is the easy part. A bit of this and a bit of that. Sauté the onion and garlic, make a rue and pour in the chicken stock. Taste the gravy and throw in the chicken and the veggies. If it isn’t quite right, adjust and taste again. There is room for personalization. The insides can have lots of sage or just a little. Be spicy or slightly sweet. Be chunky or more refined. You get to pick the ingredients and season it to your taste. Lots of room for interpretation. Pastry seems so…..exact. Either it is or it isn’t. Not a lot of wiggle room. And now the true test. 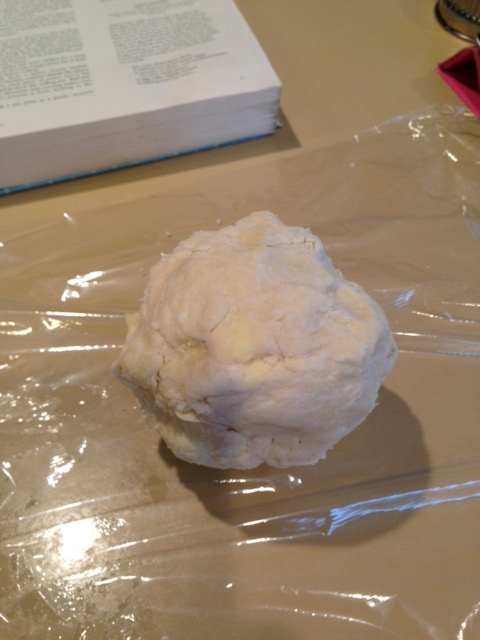 Rolling the dough out and actually making a pie crust. Flour the board and turn the chilled dough out. It starts out a bit wobbly as I think it should be a bit less cracky and I start to knead it smooth. No wait, Martha said not to overhandle it. Let it go, let it be cracky. Let it be imperfect. And as I rolled and turned and flipped and rolled I realized, after all these years, that it really is “just pastry” and that the end product doesn’t need to be perfect ( see right side of top crust) it just needs to be pastry. I made pastry. Imperfect, buttery pastry. Watch out Martha Stewart, I’m on a roll here. 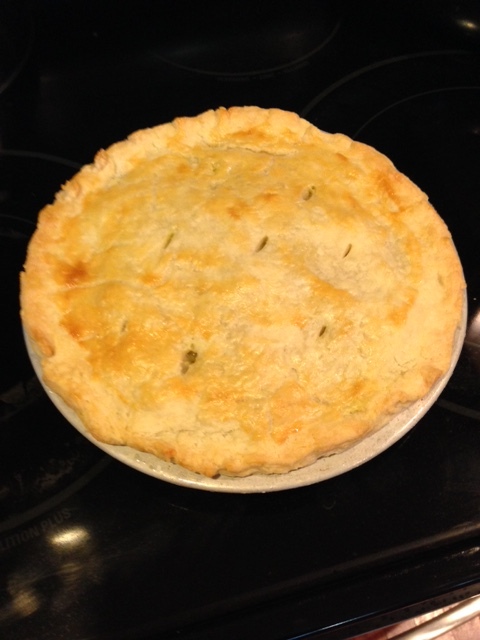 Yummy chicken pot pie for dinner. Not only have I made pastry, but I have made my family dinner. So, yes I am a perfectionist and over the years it has probably held me back from doing things and driven more than a couple of people (mostly my family) a bit crazy. The Best Thing in Life is that it is just another piece of who I am. A perfectly imperfect person who can now make pastry.